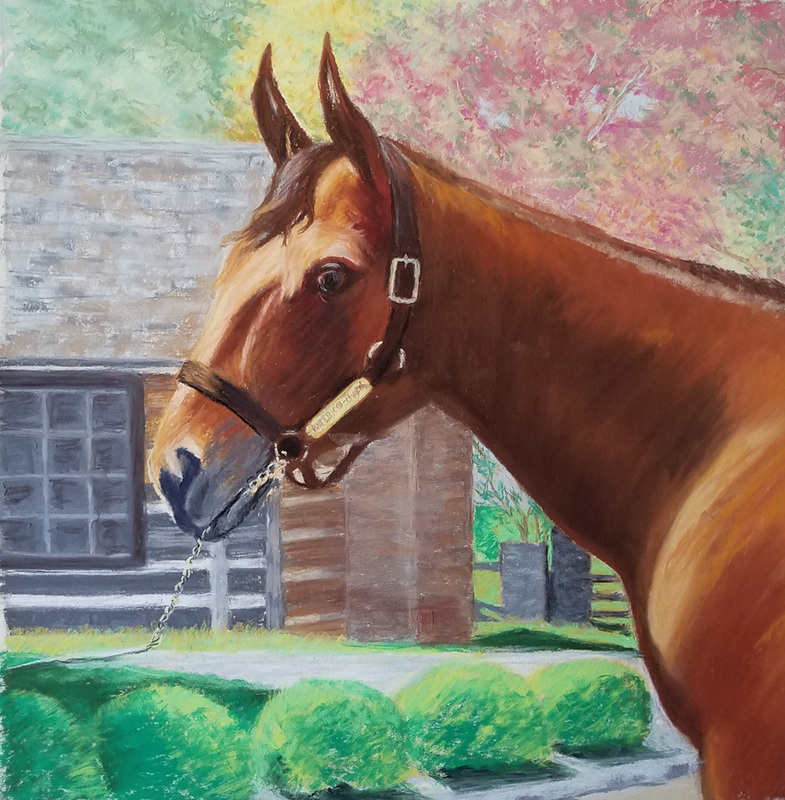 My paintings of THE THOROUGHBREDS encompass the excitement of the race and strive to show the love between these beautiful athletes and the people surrounding them. From the time the bugle sounds announcing that a race is about to begin, the excitement builds. It is tattoo check, warm up time, and then the " call for rider's up." They leave the paddock and proceed to the starting gate. Will the horses cooperate and enter the gate? When the horses are all in the gate the doors swing wide, they are off! Excitement builds in the clubhouse and the stands as the horses race for the finish line. Have you bet on a winner today? Only time will tell.